This is the time your kids should say hello to the new FiLip, this is a little device for the big world. AT&T has combined forces with Filip Technologies to produce a new smart watch that will keep parents very happy indeed. 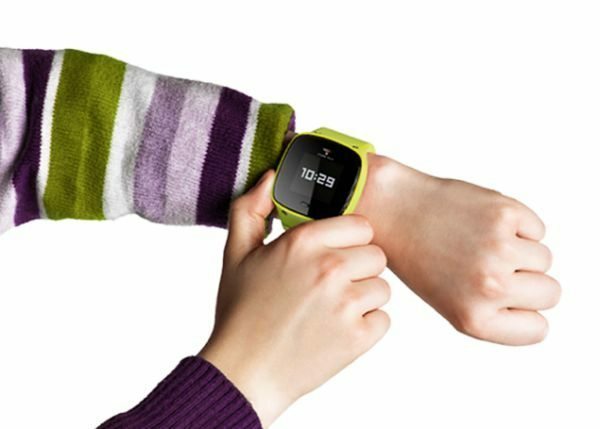 The new FiLIP Watch is a fashionable wearable device that is a phone and a locator as well, they have been designed to keep parents and their kids in touch at all times with a single push of a button. AT&T will be the exclusive network provider for FiLIP, as of yet we have no idea when the colourful watch will release and no price has been announced as of yet. This is a great direction to give mum and dads and of course guardians peace of mind about the safety of their child, this is a smartwatch that solves the problem of making sure parents children are ok. This is an ideal device for the AT&T Emerging Devices; it is a fantastic product that we believe will do very well indeed. The FiLIP features a built-in locator, voice calling, direct messaging, and the good point is that parents stay in control all of the time via an app on their smartphone. The watch will hold five trusted contacts so the child can contact these stored, parents can also set up safe zones, which is brilliant. Safe Zones can be set up, which basically means if a child leaves a designated area the parent setup the parents phone will be alerted with a notification. The watch also allows the parent to locate the child at all times, the FiLIP was granted FCC certification in July. For more information on the FiLip Watch please visit the official website here – what are your views on the FiLip Watch? Wish they were available in Australia! Have had the Filip watch for 8 months and it has been nothing but problems. It wouldn’t stay charged more than 6 hours.. which isn’t even a full school day. The screws came out, it won’t connect to ther server OFTEN and mos trecently it grew a large black spot in the middle of the watch. I have contacted FILIP every time and never actually have received help.. I’m told that they aren’t sure wath is going on. When I contacted Filip about the spot (I talked to them not even 3 weeks ago for a different problem) I was told that since there was a pink tint to the word filip that it was water damage… REALLY?!? My 7 year old washes his hands! If it is that sensitive to water from him washing that is ridiculous! I was then told there was nothing that could be done and I would have to buy a new one. NOT A CHANCE! Disgusted. We took good care of that stupid thing and it didn’t even last a year.